Dance Commentary by Heather Desaulniers: ODC - "The Velveteen Rabbit"
ODC - "The Velveteen Rabbit"
"The Nutcracker" is an institution in the Bay Area. With so many fantastic local versions to choose from, any "Nutcracker" fan can attend Christmas Eve at The Stahlbaum's several times during the holidays. But there is much more to December dance than the Sugar Plum Fairy and the Mouse King. If "Nutcracker" isn't your cup of tea, there are other San Francisco festive dance offerings to take it, including ODC's long-running presentation of "The Velveteen Rabbit", currently playing at Yerba Buena Center for the Arts. Charming and delightful, "The Velveteen Rabbit" is a testament to how the fusion of dance genres can provide narrative clarity. 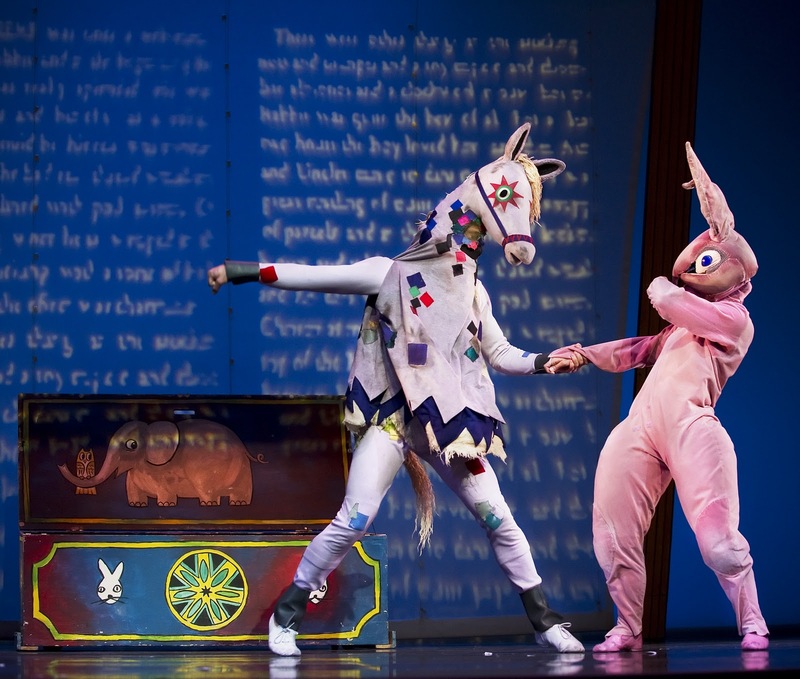 The traditional and contemporary movement vocabulary employed by choreographer KT Nelson achieves unprecedented results, making "The Velveteen Rabbit" a holiday must-see. Ballet and modern peacefully co-exist in this enchanting dance version of Margery Williams' story. The family Christmas celebration explodes with intricate choreographic matching - double attitude piqué turns flowing into sprightly sautés. Flexed feet and parallel developpés coupled with assemblés and grand jetés, and like experiencing any good food and wine pairing, the combination seemed logical, obvious and essential. I did have mixed feelings about the nursery's toybox scene. The choreography for the 'skin horse' was perfectly matched to its older persona: steady, staid, and level. 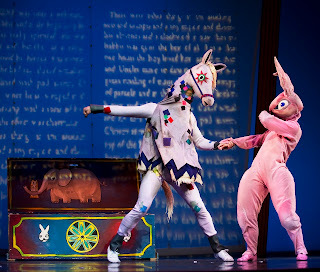 And, the spatial pas de deux between the rabbit and the horse was brilliant. The rabbit's movements were a less mature version of the horse's choreography, illustrating the different age of the two toys. At one point, the rabbit's foot moved to a back tendu, while the horse's leg lifted off the ground in attitude derrière. This was a glimpse into the rabbit's journey from newness to being known. Unfortunately, the choreography for the other toys was lacking. These fancy figures were supposed to illustrate their feeling of superiority with new-fangled mechanical capabilities and flashy costumes. The dancers were definitely acting out that role, but their step variations did not really embody a sense of prestige or entitlement. Perhaps if the choreography had tended more towards bravado and grandiose-ness, the disposition of the different toys would have been better communicated. Like many holiday dance productions, the children from the ODC school play an important part in "The Velveteen Rabbit". These kids were incredible: they were well-rehearsed, had lovely technique and confident stage presence. I would even go so far as to say that their synchronization was better than I've seen in several "Nutcracker" party scenes. The Nana character was also much more compelling and captivating than her "Nutcracker" counterpart, Mother Ginger. Because Nelson uses two dancers to create Nana, her feet actually do choreography - turns, jumps, walks, runs. This transformed Nana from a glorified set piece into a dynamic dance personality. San Francisco Ballet - "Nutcracker"